"El Centro de Oro" redirects here. For other uses, see El Centro (disambiguation). Fairhill is a neighborhood on the east side of the North Philadelphia section of Philadelphia, Pennsylvania, United States. Fairhill is bordered by Front Street to the east, Germantown Avenue (10th Street) to the west, Allegheny Avenue to the north, and Cumberland Street to the south. The neighborhood serves as the center of the Hispanic community of Philadelphia, and is known for its "El Centro de Oro" commercial strip along North 5th Street. The neighborhood is also the center of the Philadelphia Badlands. Fairhill is adjacent to Harrowgate and West Kensington to the east, Hartranft to the south, Glenwood to the west, and Hunting Park to the north. The area that is now the Fairhill neighborhood was at one time home to the Isaac Norris family’s Fair Hill estate. Norris was an early merchant and later mayor of Philadelphia. It is also home to the Fair Hill Burial Ground, a cemetery that Quakers established in 1703. George Fox obtained the land for the cemetery from William Penn. The cemetery is on the National Register for Historic Places. Fairhill began to develop its urban character in the 1880s. Many of the new residents at this time were German immigrants, particularly German Catholics. With the approval of the Archdiocese and the help of Fr. Henry Stommel of Doylestown, the German Catholic families in the area established Saint Bonaventure Parish (also known as Saint Bonaventura) in 1890. The original parish building was at Ninth and Auburn Streets. After establishing the parish, Fr. Stommel turned over its leadership to Fr. Hubert Hammeke, a German immigrant priest. In 1894, the parish began building a Gothic style church. Fr. Hammeke served as the project manager for the church’s construction and construction on the new church finished in 1906. The finished church at Ninth and Cambria Streets included an impressive clock tower and spire. Fr. Hammeke would lead the parish until his death in 1937. In the 1950s, the demographics of the Fairhill area began to change. The German-American families began leaving the neighborhood with African-Americans and Latinos – mainly Puerto Ricans – taking their place. By 1975, the parish had initiated a Spanish mass and a Carino Center for Spanish-speaking children. The parish, including the school, closed in 1993; St. Bonaventure Parish church was demolished in 2013–14. El Centro de Oro (Center of Gold), also known as the "Golden Block", is a commercial district located in Fairhill. Within this district are Puerto Rican businesses and organizations including Taller Puertorriqueño (Puerto Rican Workshop), Asociación Puertorriqueños en Marcha (Association of Puerto Ricans on the March), and Artístas y Músicos Latino Americanos (Latin American Artists and Musicians). El Bloque de Oro, "The Golden Block," is a neighborhood in the North Philadelphia section of the city of Philadelphia, Pennsylvania, United States. The area is focused around North Fifth Street. It is made up of predominantly Latino businesses. Notable among them is El Centro Musical and Asociacion de Musicos Latino Americanos. Taller Puertoriqueno, a Puerto Rican community arts center, is also located there. As of the census of 2010, the racial makeup of Fairhill is 80.2% Hispanic of any race, 15.1% non Hispanic Black, 2.3% non Hispanic White, 1.4% Asian, and 1% all other. It has the highest concentration of Hispanics of any neighborhood in Philadelphia, which is over 10 times larger than the overall percentage of Hispanics living in Philadelphia. The neighborhood is mainly made up of Puerto Ricans, But also has significant populations of Dominicans, Cubans, Colombians, and Brazilians, as well as other Hispanics. Its poverty rate is 61%, which is about five times the national average, as of Census 2010. The neighborhood is sometimes nicknamed "El Centro de Oro" (Spanish for "the center of gold"), and is considered to be the center of the city's Hispanic community. Fairhill, among other areas of eastern North Philadelphia, is known for having some of the highest concentrations of Puerto Ricans in the United States outside Puerto Rico (which is a US territory). Furthermore, the area west of 5th street is over two-thirds Hispanic, with the remaining nearly one-third being black, while areas of the neighborhood east of 5th street is nearly 100 percent Hispanic. In 2002 23.5% of the houses in Fairhill were occupied by the owners. 85% of the housing in Fairhill consists of row houses. 2.6% of the buildings in the area are zoned for commercial use; Steve Volk of Philadelphia Weekly stated that efforts to replace drug dealing with legitimate commercial activity have been stymied in recent years. 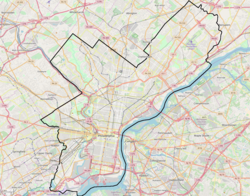 As of Census 2010, Zip Code 19133 which encompasses most of Fairhill and portions of neighboring Glenwood and Hartranft, is the poorest zip code in Philadelphia, having a poverty rate of 61% and a median household income of $14,185. Steve Lopez's novel Third and Indiana made the intersection well known. The intersection of 3rd Street and Indiana Avenue was listed number two in a 2007 list of the city's top ten recreational drug corners according to an article by Philadelphia Weekly reporter Steve Volk. Other intersections in Fairhill included in the list of the top drug corners included Fifth Street and Westmoreland Street in third place, and A Street and Westmoreland Street in seventh place. The United States Post Office operates the Fairhill Post Office in Suite 2 at 217 West Lehigh Avenue. School District of Philadelphia operates public schools. Fairhill School, a K-8 school, serves Fairhill. Residents zoned to Fairhill School are also zoned to Thomas Alva Edison High School / John C. Fareira Skills Center. Fairhill Community High School (FCHS), an alternative charter high school for dropouts and students at risk for dropping out, is located in Fairhill. The Free Library of Philadelphia Lillian Marrero Branch serves Fairhill. It was previously the Lehigh Avenue Branch, and Lillian E. Marrero had served as the library's supervisor. ^ "Philadelphia Neighborhoods and Place Names, A-K." City of Philadelphia. Retrieved on January 20, 2009. "Front to 10th Streets, Cumberland Street to Allegheny Avenue." ^ "[press.visitphilly.com/releases/philly-s-el-centro-de-oro-neighborhood-radiates-latino-flavor-culture El Centro de Oro1]." City of Philadelphia. Retrieved on January 1, 2016. ^ "[hiddencityphila.org/2013/08/in-the-heart-of-gold Philadelphia Badlands1]." City of Philadelphia. Retrieved on January 1, 2016. ^ "Philadelphia Badlands2." City of Philadelphia. Retrieved on January 1, 2016. ^ "Fairhill." Plan Philly – University of Pennsylvania. Retrieved on January 20, 2009. ^ “.” “Fair Hill Burial Ground.” Retrieved on February 23, 2011. ^ a b “.” “History of a Fairhill Block.” Retrieved on February 23, 2011. ^ "St. Bonaventure | Philadelphia Church Project — Philadelphia Church Project". Phillychurchproject.com. November 9, 2008. Retrieved April 3, 2016. ^ Mandell, Melissa. "El Centro de Oro — The "Golden Block"". philaplace.org. Retrieved June 21, 2013. ^ Taller Puertorriqueño. Official website. Accessed 2015-11-08. ^ Asociación Puertorriqueños en Marcha. "About", on official website of APM. Accessed 2015-11-08. ^ AMLA Artístas y Músicos Latino Americanos. Official website. Successor organization (2006) to Asociación de Músicos Latino Americanos (Association of Latin American Musicians), which was also known as AMLA. Accessed 2015-11-08. ^ Michael Green, Michael. "Fairhill: Hispanic Culture and Business Shine on El Bloque de Oro". philadelphianeighborhoods.com. Retrieved June 21, 2013. ^ "Logan Redevelopment Area Plan Archived July 27, 2011, at the Wayback Machine." Philadelphia City Planning Commissiom. May 2002. 1 (document page 3). Retrieved on August 2, 2011. "The neighborhood is generally defined as including the area from Wingohocking Street north to Olney Avenue and from Broad Street east to the railroad right-of-way east of Marshall Street. Logan extends west to 16th Street north of Lindley Avenue, where Wakefield Park forms the boundary." ^ a b "2010 Census". Medgar Evers College. Archived from the original on June 11, 2010. Retrieved 2010-04-13. ^ a b "2010 Census Philadelphia, PA 19133". Zip-codes.com. Retrieved April 3, 2016. ^ Figueroa, Cynthia (May 17, 2013). "Health disparities in Philadelphia's Latino community". Philly.com. Retrieved April 3, 2016. ^ "Mapping the 2010 U.S. Census - NYTimes.com". Projects.nytimes.com. Retrieved April 3, 2016. ^ Volk, Steve. "Neighborhoods." Philadelphia Weekly. August 14, 2002. Retrieved on January 20, 2009. ^ "Philadelphia 2015: The State of the City" (PDF). The Pew Charitable Trusts. Retrieved April 24, 2015. ^ Volk, Steve. "Trouble Spots: Third and Indiana." Philadelphia Weekly. May 24, 2006. Retrieved on January 19, 2009. ^ a b Volk, Steve. "Top 10 Drug Corners Archived September 7, 2012, at Archive.today." Philadelphia Weekly. May 2, 2007. Retrieved on January 20, 2009. ^ "Post Office Location – FAIRHILL." United States Post Office. Retrieved on January 16, 2009. ^ "Fairhill School Archived July 4, 2007, at the Wayback Machine." School District of Philadelphia. Retrieved on January 20, 2009. ^ "A Directory of High Schools for 2009 Admissions." School District of Philadelphia. Retrieved on January 20, 2009. ^ "Bienvenidos and Welcome." Fairhill Community High School. Retrieved on January 20, 2009. ^ "Lillian Marrero Branch." Free Library of Philadelphia. Retrieved on October 19, 2012. ^ Woodall, Martha. "Librarians Clicking On A Future In Cyberspace." Philadelphia Inquirer. January 29, 1999. Retrieved on January 16, 2013. This page was last edited on 30 October 2018, at 02:35 (UTC).